The professionals Sergio Gómez, María José Carrasco, Henar Herrero, Pedro José Gómez and José María Ruiz, who work for the LAR Arquitecture studio, are the ones in charge of the residential project Frater which takes place in Huelva, and it was the finalist project at the 9th PORCELANOSA Architecture and Interior Design Awards in the Completed Projects category. 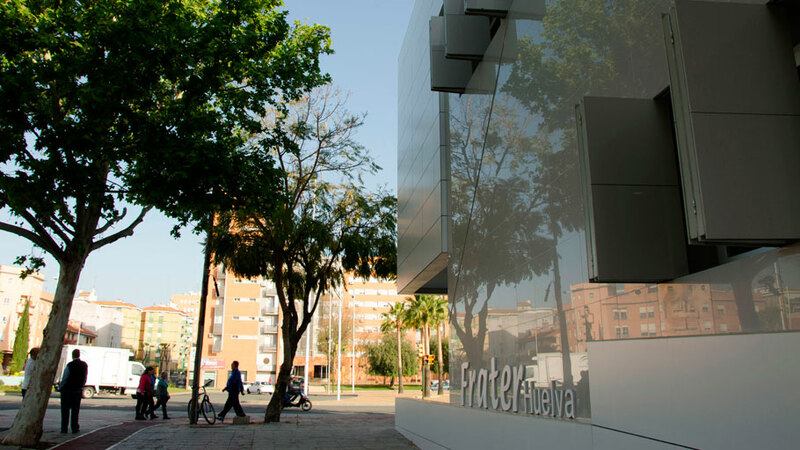 A centre which has been adapted for disabled people and for wheelchairs users, whose major premise is accessibility, as the removal of architectural barriers. In fact, and as a starting point, those in charge of the project opted for the installation of a slight-incline ramp for the access area to the building. It turns itself on by connecting the street level with every single communal interior area, as well as the rooms and the basement. 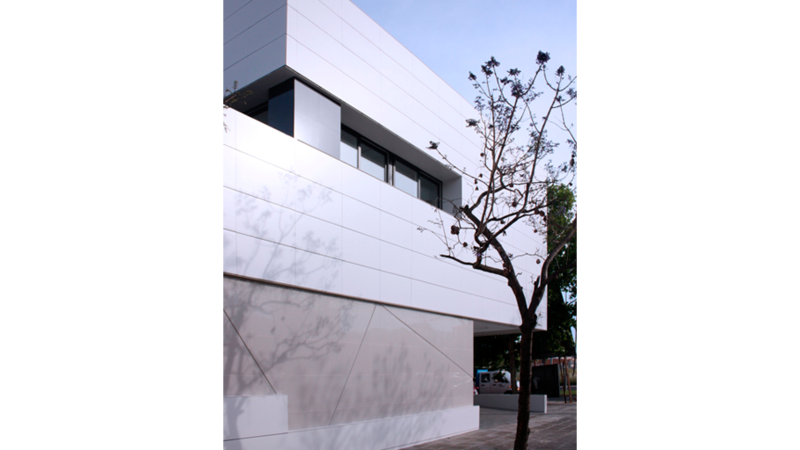 One of the other designs by LAR Arquitectura for this project, has to do with both practicality and minimalism. 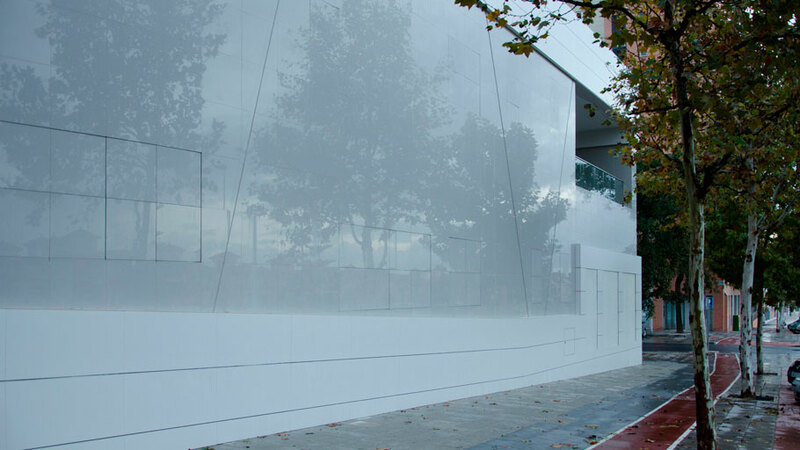 The outside of the building shows itself to be both solid and abstract, taking up the whole plot of land which is surrounded by trees. Moreover, the window shutters, with the same finish as the façade plane, play an important role by simply disappearing and remaining hidden once they are shut. LAR Arquitectura constantly banked on the versatility and the avant-garde designs of the PORCELANOSA Grupo materials and products in order to carry out this unique residential project. 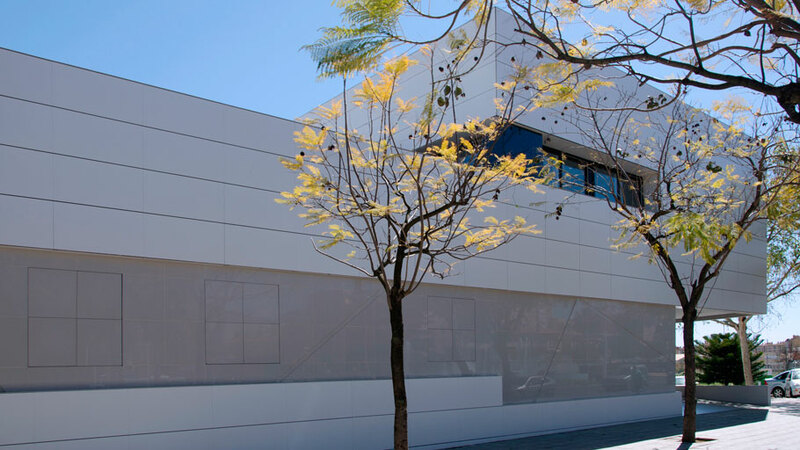 By aiming at a high resistance and ensuring energy efficiency, and with regard to the façade, the people responsible for the project opted for the building systems by Butech, by installing part of the façade as a ventilated façade with ceramic wall tiles , and the other part as bonded façade. 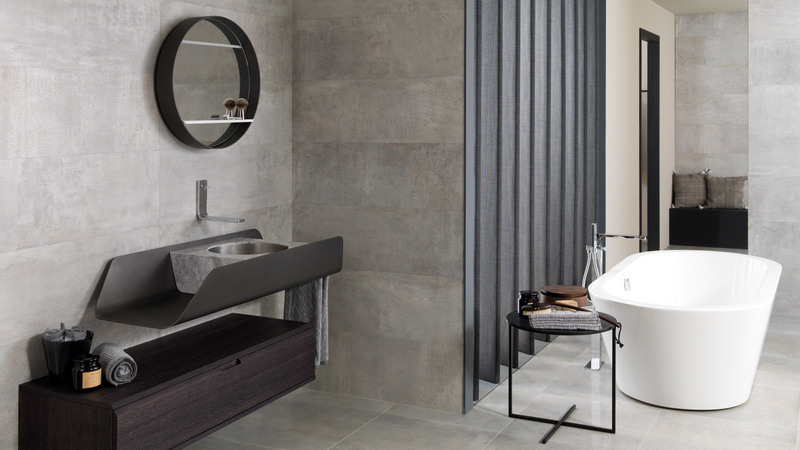 A design combining three types of different porcelain, to be precise, the full through-body porcelain tile by Urbatek, in both versions of Town Níquel and Town Cosmos, in the Polished finish; and the series from the STON-KER collection by Porcelanosa, the Technic Nieve; all of them in a fine colour range of greys and blacks. 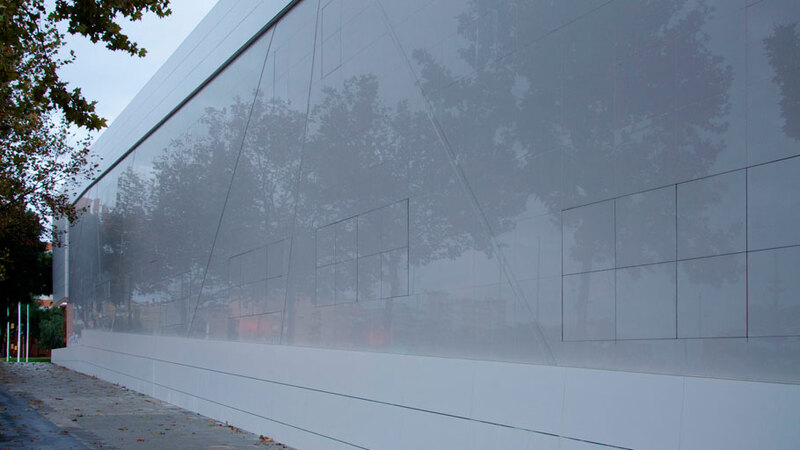 The combination of the façade materials moves the ramp spiralling the interior of the building to the exterior. 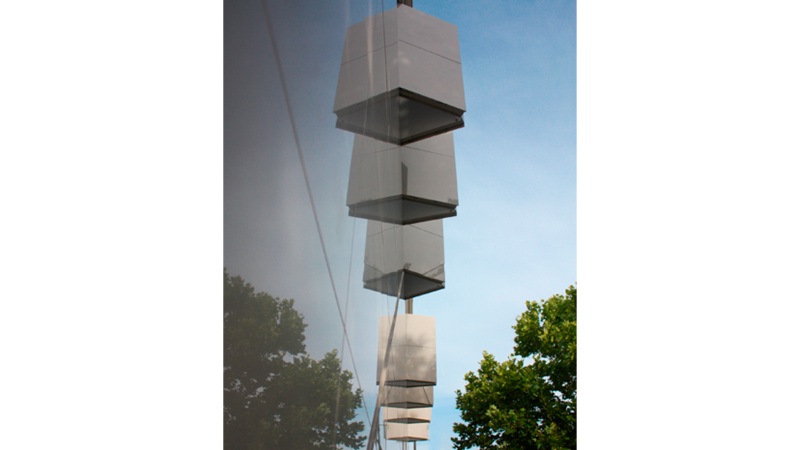 In the laying out of joints the horizontal ones are highlighted, and oblique lines which break with the building’s linearity are drawn. Urbatek again plays a very important role in the façade of the interior patio block, as well as in the access to both the dining room and the cafeteria. In this case, the choice was the through-body porcelain Town in the Green special version and in the Polished finish, which covers an area of about 100m2. 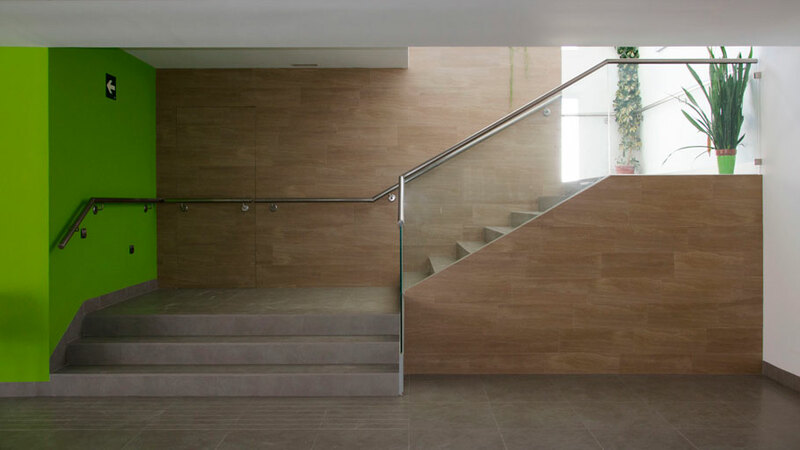 PORCELANOSA Grupo is present by means of its ceramic firms, with the floor tiles and wall tiles in this project, which banks on quality and resistance to wear and tear. 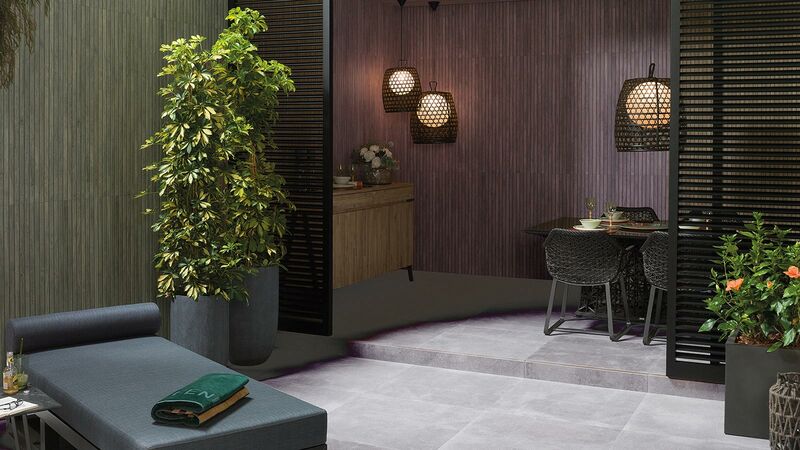 In this regard, and in the different interior spaces, it is possible to see the Manhattan cement, in the 59,6 x 59,6cm format, as well as the ON Grey through-body porcelain tile, in the 21,9 x 66cm special format. On the other hand, with regard to the wall tiles, the choice was the natural wood effect finish, by means of porcelain such as the Block Roble by Porcelanosa. As far as the interior design of the Frater residence is concerned, it is worth highlighting the use of the natural light that comes in, that is the reason why both bright colours and pieces of glass dominate. The grey present on the floors excellently makes contrast with white wall hangings and light-oak textures in both doors and stairs. With regard to the garden, it has been designed with flower beds and corten steel furniture, thus, highlighting the vegetation, as well as bringing it closer to the people in wheelchairs.